If you are in this support area, chances are you are looking for help with an issue. First of all, we are very sorry and we promise to get you back on track ASAP. 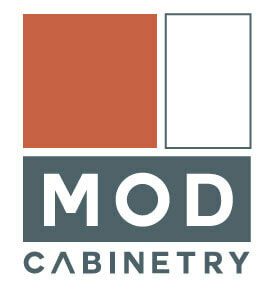 We understand how exciting it is when your cabinets arrive and how an uncertainty can affect the moment. We are here for you and will make it easy to get timely answers and solutions. While shipping damage or manufacturer errors are not common, they can happen since everything is made, handled and shipped by real humans. We have a process in place to fix issues should they come up and we will work with you and the installer to resolve any issues as quickly as possible. We ask that you review the links above including the descriptions of damage, replacements, and general warranty to understand which warranty type best suits your situation. From there, please fill out the easy-to-use claim form. All claim forms require photos so we can better understand your situation and arrive at a solution quickly. We also include on each page a way for you to schedule a callback should you need more help understanding your situation. We are sorry and care about you having a fabulous Mod kitchen and will work hard to arrive at a solution and minimize delays.